"... After 4 months of use, I can say that it is far better than HRT and zero sides and MUCH cheaper. Lifts are back to where there were 20 years ago, leaner, mood is up and all is great. Will continue to use this test booster forever." Ingredients to Naturally improve and maintain your Test Levels! When it comes to increasing your testosterone levels, naturally, you really shouldn't be concerned unless you are in your late 30's or older. Because before that age, your natural levels are just screaming and using a product like this will have no effect. But after that age, as your levels gradually drop each year you will notice less energy, strength, muscle size and overall mood. 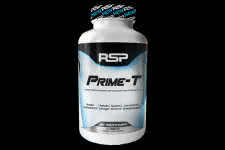 Using a scientifically formulated supplement like Prime-T is the solution. Safe and effective, the key ingredients used here are 3200mg D Aspartic Acid, 250mg 3,3' Diindolylmethane and 500mg Fenugreek. There are others as well which you can see through the full disclosed label. 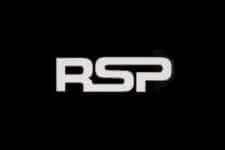 You'll always know what you get when it comes to RSP, no secret ingredients. 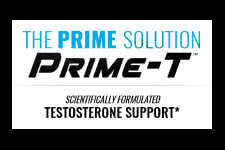 Everything has been designed to work in perfect harmony and with the daily regular use of Prime-T with a healthy active lifestyle will gain you results from your 20's. Be sure to use this with a proper diet and daily exercise plan for optimal results. Each serving is powered by the highest quality of D-Aspartic Acid! Ideal to improve your prostate health and keep your estrogen levels down!